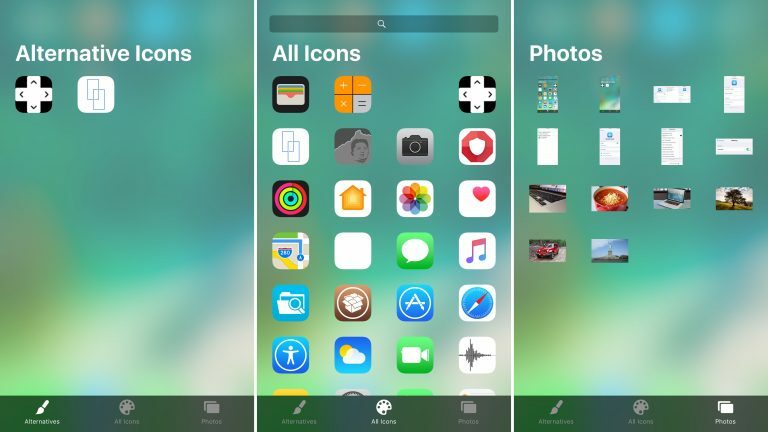 When it comes to theming your jailbroken iOS device the first theming platform that comes to your mind is probably WinterBoard. 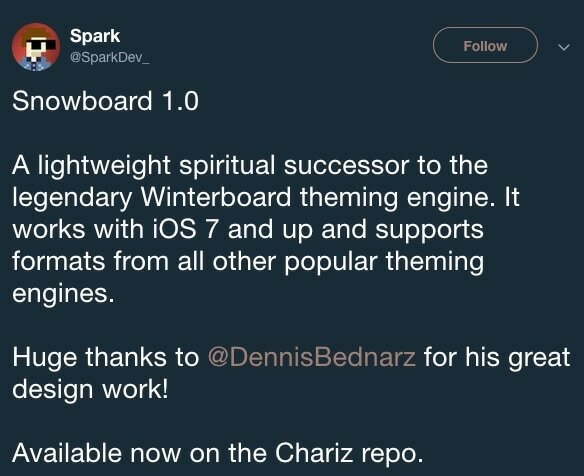 Unfortunately, WinterBoard didn't appear for a long time on the scene and didn't receive any updates to keep up the jailbreak releases, and here comes the role of SnowBoard. 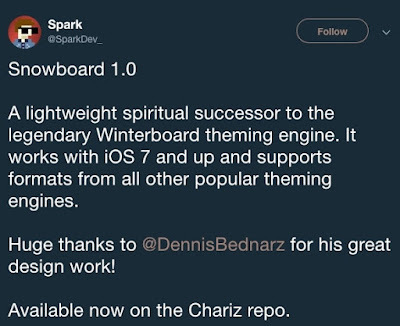 SnowBoard is a new lightweight successor to the renowned WinterBoard theming platform by SparkDev and Dennis D. Bednarz. 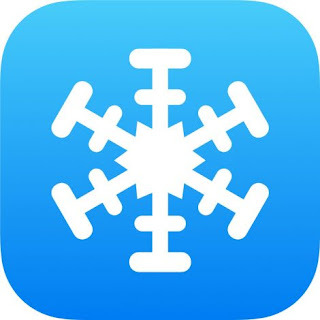 According to the Cydia's description, SnowBoard works with jailbroken handsets running iOS 7 and later and supports most formats used by many popular theming engines. 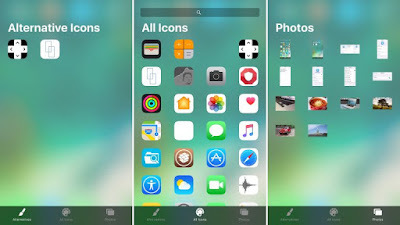 When you install compatible themes from Cydia, you should find them in the “Select Theme…” menu. There, you can quickly apply them and switch between them on demand by moving them from one section to the other. While I’ve never been heavily invested in the theming aspect of jailbreaking myself, those who have should find SnowBoard to be a refreshing experience. If you’re interested in giving SnowBoard a try, then you can download it for free from Cydia’s Chariz repository. Give it a try and let us know what is your first thoughts about it in our comment section below.